Modern computers and laptops now support numerous connection interfaces that gives you ability to chose among a wide choice of possible backup storage devices. Here are the most popular data carriers used for data backup. You can store your backup data copies on a second hard drive that is currently the most popular carrier for this purpose for a PC. If you have a laptop, most likely it will be impossible to in-built another hard drive, but you can use portable hard drives connected to the laptop by USB or FireWire interfaces. This is a perfect storage backup software that can be used for saving capacitive data copies, as modern portable hard disks have up to 1TB of information. Another popular kind of back up storage is ZIP drives and streamers. ZIP drives are currently out of date due to a rapid backup data size growth. Such drive has up to 750 MB data storage that is enough only for a partial document or registry backup. Streamers are capable of storing up to 72 GB of information, this can be enough for home backup storage. PC Card drives that are also can be used for storing backup copies are attached to a computer or a laptop via a PCMCIA slot. The capacity of modern PC Card drives is comparable with ordinary flash memory cards. Home and small business backup needs can be fully covered with writable DVD and CD disks. Remember that recording backup copies on DVD or CD disks is highly energy consuming process; that is why you need to make sure your laptop is connected to a socket to avoid interrupting the process in case of a full discharge. 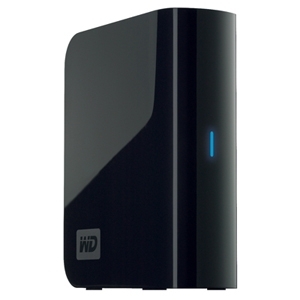 Such backup storage devices as laser disks are the most affordable solution for common users. Most of large organizations have network back up storage, when all work stations upload their backup data copies to a local backup server. The same technology is available for home users who can upload their backup copies to a virtual server. Some backup software including Leo Backup support this feature.